Are you a fan of flight simulators and aircraft games for PC? Whether you want to test your piloting skills as a fighter jet pilot or cruise through the galaxy, you’ll need to find the best joystick if you want the most out of your airborne gaming experience. Use this guide to find the best flight stick for your interests and budget. Joysticks aren’t just great for flight simulators; they can actually work for a wide range of games, such as some FPSs where you can jump into a jet or helicopter. A dogfight in deep space might also call for better precision and a more realistic feel than what’s offered by a mouse and keyboard. A reliable and programmable joystick is a great investment for some gamers, but it’s a good idea to familiarize yourself with the basics of the controls, configurations and features of joysticks and flight sticks before you buy. A large advantage to any joystick is a throttle. This is a lever that can be pressed forward or pulled backward to make the vehicle you are piloting speed up or slow down. Throttles can be either integrated on the base of the joystick itself or come as a detached control. 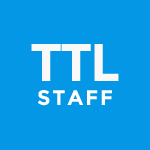 Having a separate throttle control can be beneficial in a number of ways. Your hands do not have to be so close together; instead, you’ll have a more natural, ergonomic feel. With the best joystick for certain games, you may not need to use your keyboard or mouse at all! With a detached throttle, you also usually get more buttons than if you were using a mouse or a throttle on the base of a joystick. The downside to having a detached throttle is that it’s generally much more expensive. 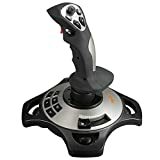 HOTAS: Hands on Throttle and Stick. This means that you are required to use one hand on the throttle and one hand on the joystick at all times (if you are to use all the buttons on the joystick). This can include detached throttles. HOSAK: Hands on Stick and Keyboard. This setup may be beneficial if there is no throttle at all or when more buttons are necessary than what is on the joystick setup. HOSAM: Hands on Stick and Mouse. This configuration can be ideal for those who want more flight precision. If you’ve already found the best gaming mouse, then you may feel more comfortable with an ambidextrous joystick. HOSAS: Hands on Stick and Stick. This is similar to HOSAM, but with more realism and accuracy. This setup will also give you plenty of buttons. There is no hard and fast rule about which one is best. It is your personal choice according to which you feel most comfortable with. Button configuration and layout is very important for many games; this is especially true for flight simulators. A lot of gamers enjoy having a separate control for throttle as it offers more versatility at your fingertips. Though many people still prefer the best gaming keyboard for PC games, a specialized stick and throttle set for flight and space simulators can mean all the difference in a dogfight! “Z-Axis” means twisting the stick to the left or right. This controls the yaw in flight and space simulators. If a joystick does not have this functionality, a lot of people use pedals instead. Although they’ll cost extra, pedals can have the added functionality of strafing (moving sideways) or moving forward and backward. “Hat switch” is a directional control much like the D-Pad on console controllers. They commonly provide point-of-view control so you can switch between different camera angles. 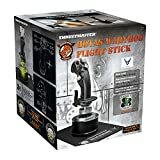 Thrustmaster makes some amazing joysticks, and they are a name you can trust if you are in need of a HOTAS stick. Our top option from the company is the HOTAS Warthog, a high-end flight stick that’s a replica of the A-10C. With a total of 19 buttons including an 8-way POV hat, this flight stick has enough hats and pinkie push buttons to please almost anyone. This stick is constructed from metal, so it’s built to last, and as a bonus, the handle is detachable so you can use this one with the Cougar. We also appreciate how stable this stick is at over 6 pounds, so it’s not going to slide around on you although there are handy holes on each corner for mounting as well. From the magnetic sensor system to those pinkie push buttons, you really can’t go wrong with the HOTAS Warthog if you want an accurate stick that outdoes the rest. It comes with a 2-year warranty, and there’s a Warthog bundle with the stick and dual throttle available if you are looking for a matching set. Whether you need a mouse, keyboard or controller, Logitech generally has something in their arsenal for everyone. That includes folks looking for a great gaming joystick like the Extreme 3D Pro, an affordable alternative with an 8-way hat switch. Logitech put a lot of thought into the design of this stick and consumers found it comfortable and precise. There’s an 8-way switch and 12 programmable buttons in key positions and a rapid-fire trigger that will help raise your kill count. The button placement is excellent, and the twist handle rudder is a nice touch as well. The Logitech Extreme 3D Pro is a great entry-level joystick that provides a lot of bang for your buck. While not quite in the “Pro” class, we think you will be surprised by how well this one performs given the price tag. Thrustmaster has a stick with a price point and style for everyone. In this case, it’s the T.Flight Hotas 4, a mid-range system with a neat trick. While it functions in a similar fashion to our other throttle & stick systems, this one has a detachable throttle. 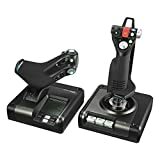 The T.Flight HOTAS 4 gives you the feel of being in the cockpit with a real-size throttle that snaps loose from the stick. There are a total of 12 action buttons and 5 axes which makes it an excellent option for games like War Thunder, EVE Valkyrie VR or Star Citizen. Other features to note include a dual rudder system and a small switch that lets you go from PC to PS4 mode. This is an excellent setup for beginners with its large hand rest and multidirectional hat switch. The PC/PS4 switch is definitely a perk as well, and it’s stable whether both pieces are together or placed separately. On the downside, the connecting cable isn’t that long so kept that in mind if placement is critical in your gaming set up. Mad Catz is another fan favorite when it comes to controllers, and they cracked our list of the best joysticks with the V.1 stick. It’s reasonably priced with some interesting features and is one of the few joysticks that is comfortable for both right or left-handed gamers. One of the highlights of the Mad Catz V.1 is the POV button which allows you to switch cockpit views in an instant. There’s also a throttle lever and twist action rudder to go along with a programmable pinkie switch and small LED light. As for the buttons, there are only five of them although they are easy to access with either hand. It’s a comfortable stick, just a little lighter than other models due to the design. This flight stick is one of the easier ones to use straight out of the box, and its ambidextrous design is an obvious perk for lefties or dual-stick flyers. Just keep the weight in mind along with the number of buttons you require, and you will have a joystick that will last for years to come! Our second pick from Logitech is at the opposite end of the pricing spectrum. The Saitek X52 is a high-tech flight stick with a dual-spring system that will look classy on a desktop and can do things other sticks only dream about. This combo set has illuminated buttons and an LCD built into the throttle that can give you stats in an instant. It has an adjustable throttle dial while the stick has 3D twist rudder controls with a lock switch. It’s safe to say it’s quite comfortable as well considering it has an adjustable handle with five positions. The build quality is excellent, and the dual-spring system ensures the stick returns to neutral every time. This slick set from Logitech is ideal for games like Elite Dangerous and a solid system overall aside from some quality control issues. You may have problems getting the proper drivers for your system as well, so keep that in mind if you are game that finds themselves easily frustrated. If you play space-based games, you don’t want a replica stick and need something that can handle the rigors of space warfare. The Logitech G X56 fits that bill, and while it’s expensive, it has features you won’t find on other joysticks. This is basically an updated version of an older G X56 joystick. This two-piece system is packed with high-tech features including RGB lighting and a mini analog stick on both the throttle and joystick. They give you an extra measure of control in your favorite space sim, and the button placement is ideal for virtual reality games as well. The accurate stick has a 16-bit elevator, and aileron axis with hall-effect characters and the buttons are configurable on both units. The throttle unit has a tension adjuster, and both have large bases to keep them steady on your desk. We also like the fact you can adjust the resistance on the stick through a simple 4-spring system. While we don’t have a full count on those buttons, there are plenty of them, and the mini analog sticks will add a new dimension to your gameplay. The Logitech G X56 a solid stick overall, but the quality control can be an issue along with jittering in some cases due to its power-hungry nature. Considering the price tag, it’s a stick you’ll want to test drive thoroughly out of the box. Replica sticks are a great way to go when you want to get that authentic feel from your favorite games. The Gladiator is made to resemble the classic KG12 control stick, and we’re pleased to say it lives up to the hype in more than one regard. Sometimes the best things are simple, and they didn’t have sticks with an LCD display or RGB accent lighting in WW2. This well-designed joystick has controls for the throttle and flaps on one side and twelve buttons across the front. Pedal access is available through a jack in the back while the stick itself has axes for roll, pitch, and twist. It also has a solid base and hall-effect sensors. 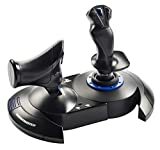 This quick gaming joystick is an acquired taste as it’s not what you’ll want on your desktop for Star Citizen, but is an excellent option for simulators and flyers that don’t require as many bells & whistles. It’s well-made with a streamlined design and one of the few joysticks on our list that plays nice with the Mac OSX. At first glance, the Thrustmaster T.16000M looks like it belongs in a different tier than other stick-thruster combos with RGB lighting or metal frames. Well, it would be a mistake to overlook this flight stick if you like buttons and are looking for a HOTAS with hall-effect tech. One of the highlights of this gaming joystick are the buttons along with the overall layout. Thrustmaster used a braille-style system which makes keys easy to identify and there are 16 of them placed strategically around the stick. It also has four independent axes along with a twist rudder. The comfortable low-profile throttle has an additional 14 buttons and an adjustable sliding rail system with 80mm of travel. The Thrustmaster T.16000M may look a little cheap, but it feels good in the hand is sturdy although a bit light compared to similar combos. The button placement on the stick won’t be for everyone, but it’s perfect when you are playing games in VR. You don’t need to spend an arm and a leg for a flight stick, and this joystick from PXN proves that. The PXN-2113 is in the mid-range class but has enough features to keep pilots happy and is compatible with a wide array of games. Like a little rumbling for a controller during gameplay? If so, you’ll appreciate the rumble feature on this stick which can be turned on with the flip of a switch. The design is a bit bland, but it’s comfy and comes with 12 programmable buttons, a rapid-fire trigger, and precision throttle control. If you fly with a heavy hand, you’ll be pleased to know the PXN-2113 uses a sturdy suction cup system as well, so this stick will remain stuck during intense action. This 8-way joystick is a great option for Flight Simulators and titles like OverWatch or War Thunder. While not as full-featured other models on our list, the price is right, and it performs as advertised. It comes with a 1-year warranty and is compatible with Windows PCs. There are countless ways you can use a joystick in video games, but you’ll need a great throttle if you want to take full advantage of flight simulators. If you prefer flying jets to spaceships, the Pro Throttle USB from CH Products should be high on your list. The Pro Throttle may not look like much, but looks can be deceiving. It has a durable body with non-slip feet, and the button layout is easy to reach. A mini joystick gives you the X and Y axis, and there are 4-way and 8-way switches along with 3 push buttons a mode selector. When you fire up Control Manager, things open up considerably with access to over 100 programmable functions. While the Pro Throttle USB has a dated design, we love the fact it works with the Mac OS along with older versions of Windows including 98 and XP. It’s a little light in the linear motion department, so it doesn’t have the same “feel” as other throttles, but it’s solid throttle that’s built to last nonetheless. There’s nothing like a joystick and throttle set to make you feel more in control during a flight simulator or spacecraft game. Are you looking for a simplistic joystick or a more authentic model flight stick? Perhaps dual wielding joysticks may be your choice of arsenal? Whatever you like, there are options out there. For a cheaper entry level joystick, the Logitech Extreme Pro 3D Joystick or Thrustmaster T-Flight Hotas X Flight Stick are affordable choices. For mid-tier joysticks and throttles, the Thrustmaster T.16000M FCS HOTAS and the CH Products Pro Throttle USB are both decent. For high-end enthusiast control options, you probably can’t beat the Saitek Pro Flight X-52 Rhino HOTAS or Thrustmaster HOTAS Warthog Joystick (while they may be more difficult to get your hands on, they can provide a more immersive, dynamic experience). If you’re a game and simulator enthusiast, you might already have a racing wheel for driving simulators, good PC controller or gaming keyboard for MOBAs and MMOs. If you’re hoping to conquer adversaries in the sky, the best gaming joystick for your playstyle will also feel right at home on your desk. What about the VKB Gladiator MkII?? That’s far better built than most of the ones you’ve reviewed! We have this joystick on the list. Do any of these have force feedback, like the higher-end racing wheels? You CAN BUY The the old Microsoft. The force feed back feature works with DCS, and Xplane11. Unfortunately the IL2 doesn’t support. Slight correction on the VKB Gladiator – It’s far from ‘Plug and Play’. 12 hrs into it and it’s still not working. Hello … is there any joysticks we can use on android ? Unfortunately, we are not aware of any.